Keeping up with my efforts to get the best possible skin I can, my appreciation for all-natural/no-nasty-chemical skincare brands continues to grow. 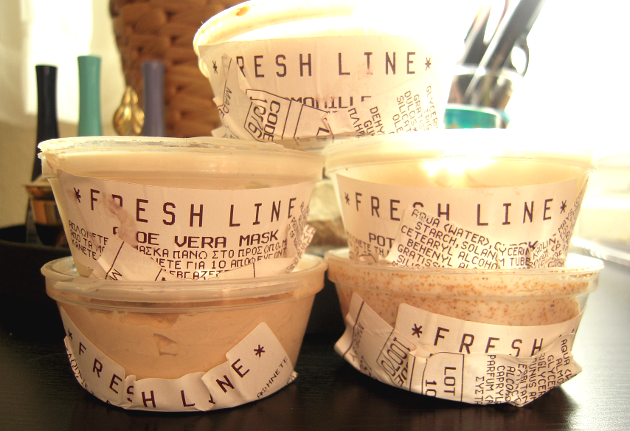 One such brand that has impressed me a lot over the past few months is Fresh Line, a Greek brand, that has expanded internationally, products of which you may have noticed in some of my recent hauls and monthly favorites. Now, a lot of my Greek readers are probably familiar with Fresh Line already, however there's one particular category of their products that I feel doesn't get mentioned nearly enough: their Fresh Beauty Bar range, which offers a rather large variety of face and body products, available to you at whatever quantity you need! To me, the real stars of this range are their face masks, that completely live up to their name, since they need to be stored in the fridge and (even then) should be used up within a couple of months. Now, reviewing all of them at one go (I think there's at least 12 face masks in the range) would be practically impossible, but I tried to get as many as I could to give you a proper idea. Read on for the reviews! The Blue Chamomille Mask is aimed at irritated and inflamed skin and it's meant to sooth and tone down the redness. I'll admit this is was the only mask that left me indifferent, despite getting it at the sales assistant's recommendation (which only proves my theory that no SA knows your skin better than you do). Now, it does seem to calm my skin down a bit, but that's surely to be expected (it's a refrigerated mask after all), but that's about the only thing I noticed. In fact, I think this may work better for those with oilier skin, since I found it more cleansing than nourishing. The Aloe Vera Mask on the other hand is quite the opposite: it's cooling and it soothes the skin on top of adding a much needed layer of hydration, thus ticking all my boxes! This one is meant to normalize the skin and restore its moisture levels, and in my opinion, it definitely delivers! I can only imagine this will be my go-to face mask during the summer months! The Royal Mask is where things get serious: this one is nourishing and I mean very nourishing! It contains everything your dry skin requires to be completely rejuvenated: honey extract, royal jelly extract, avocado oil, sweet almond oil, olive oil, you name it! By far one of my favorite masks at the moment! Word of warning, though: the honey scent does linger for quite a while afterwards, overpowering anything else that follows (not a bad thing if you like honey, like me)! 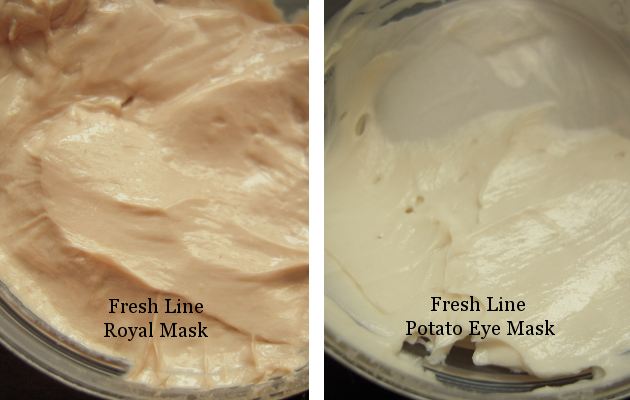 As for their Potato Eye Mask, that one deserves an honorable mention: it tightens the undereye area and preps the skin for eye cream application! You can't overdo it with this one, in fact I try to apply it every night, despite turning my nighttime routine into a mini beauty marathon! Do note that this "expires" after only a couple of weeks, so do request for the smallest amount possible! Last, but not least, the face scrub! 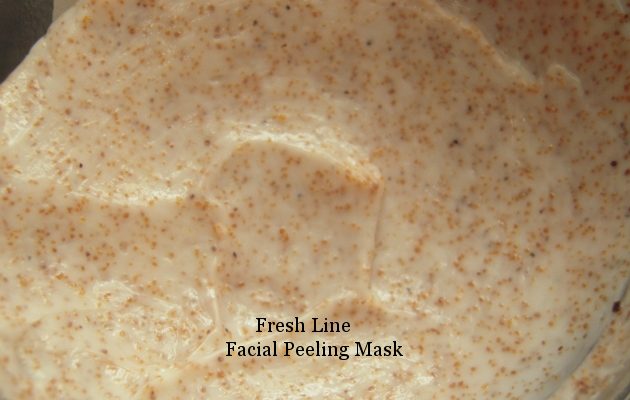 The Facial Peeling Mask with vanilla extract is packed with tiny sweet almond shell granules and provides an effective exfoliation (goodbye nasty flaky bits). Compared to other similar products I've tried in the past, this is definitely more potent, so be wary of that if you're experiencing active breakouts or suffer from rosacea etc. Overall, my skin is really happy with this range and I can't wait to try a few more items (my eyes are set on the seaweed and rose ones up next). I should say, however, that you need to shop smart when it comes to these products: their fairly short shelf life means that you can only get one of each at a time and use it exclusively if you do not want product to go to waste. Another thing worth mentioning, is that these face masks require a lot more effort than usual to be rinsed off and that's because their textures are thick and almost gum-like. I'd suggest using a face brush or a muslin cloth to cut down on rinsing time. 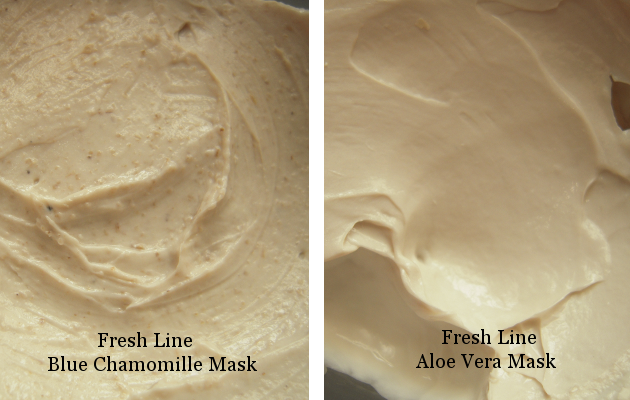 Have you tried any of the Fresh Beauty Bar Masks?